Just takes time and dedication like any other difficult trophy. 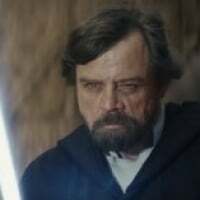 I don't think it needs to be any easier, if you're focusing on hero ships and have decent cards you should be able to get at least one per match. I had the best luck with shooting down weaker ships like Yodas. But yeah you have like a 1 in 5 chance of getting the kill if it's the falcon or slave since so many people focus those. If you're fighting the falcon I recommend using your laser barrage just when the health is less than a quarter and you have a good chance of getting the kill. If all of the achievements were easy then everyone would have them. Then We would hear the out cry that there wasn’t enough to do. Its good that there are milestones of varying degrees of difficulty. Its called depth and balance. 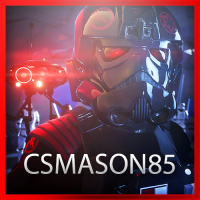 I have finnished all those milestones to include winning on endor as attacker it just requires the team as a whole to play objective hard is all even then it gets close but is possible. In fact only Maul's Scimitar has a milestone with precisely this requirement. I agree with th advice to stop going after the Falcon and Slave 1. I get loads of hero ship kills from distance without even really knowing that they are hero ships - especially Yoda, Iden and Taillle.